Episode 4.09 - The Redshirt - Promotional Photos. . Wallpaper and background images in the The Mentalist club tagged: the mentalist season 4 episode 9 the redshirt promotional photos. 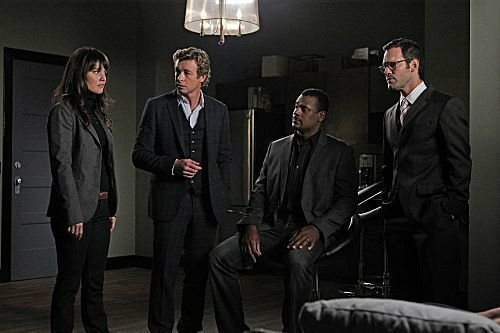 This The Mentalist photo contains business suit, suit, suit of clothes, and three piece suit.